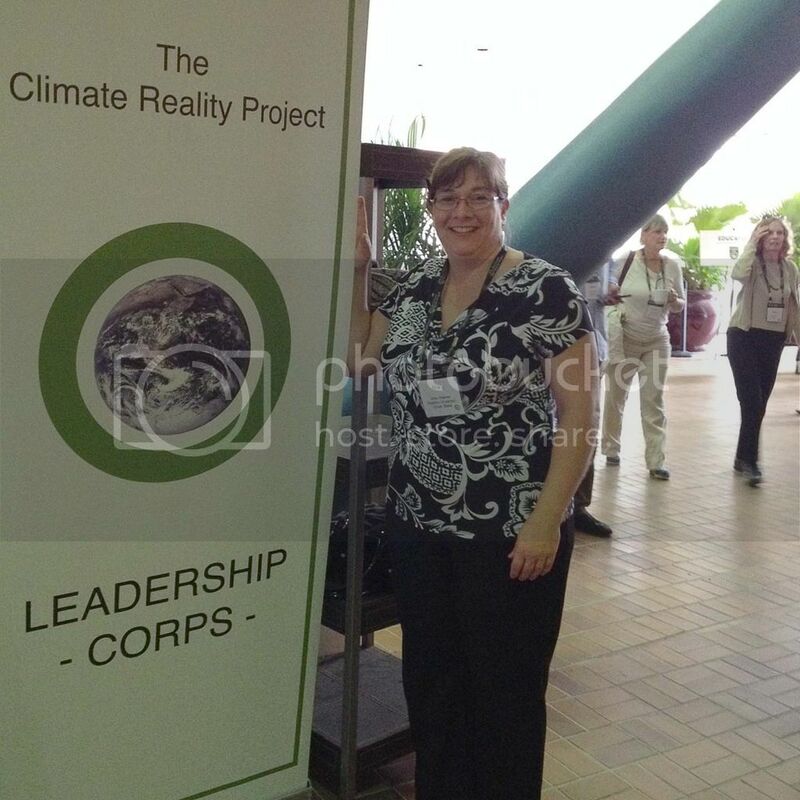 (October 30th, 2015) I recently returned from Miami, FL where I attended a training session put on by the Climate Reality Project. If you haven’t heard of this group, it’s the foundation Al Gore started to fight global climate change. (If you haven’t heard of Al Gore, (a) you’re much younger than me, and (b) he was the 2000 presidential candidate who ultimately lost to George W. Bush after the U.S. Supreme Court weighed in). The training was inspiring. I highly recommend it to anyone who feels strongly that climate change is a serious threat and who wants to take action. Mr. Gore is passionate about climate change; so much so that he’s written several books and made a documentary on the subject (An Inconvenient Truth), shared in a Nobel Peace Prize for his work in fighting it, and now devotes much of his time to educating others about it. He’s also an absolutely amazing speaker, who held us captivated for three days as he and others poured their knowledge about climate change into our eager ears, eyes, and brains. It’s a very powerful thing to be in a room with over 1,000 people from 83 different countries, all of whom agree with you on a subject and are motivated to act toward the same goal. I returned home with, not only the tools, but the mission to educate others about climate change. The training was also sobering. It really brought home the fact that climate change isn’t something we need to worry about for the future; it’s here, now. Its effects are being felt in floods, fires, and droughts; in record high temperatures, and in record low harvests. We saw photos of the devastation left in the wake of “super storms.” We viewed charts and graphs that document the increasing pace of ice loss in Greenland and Antarctica. We heard about the high tides that are now flowing onto the streets of Miami Beach. We learned about the acidification of the world’s oceans, which is caused by the increasing absorption of carbon dioxide and which results in the death of corals and of shelled creatures such as pteropods, oysters, and lobsters. And these things frightened us. But mostly, the training was hopeful. 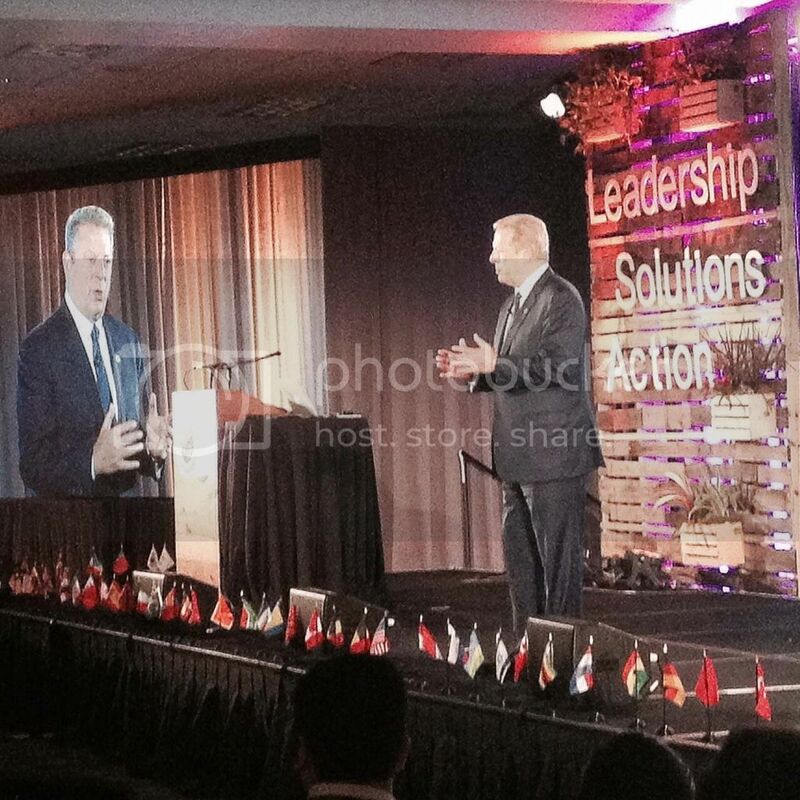 Mr. Gore’s oft-repeated refrain was, “We can, and will, win this fight.” The goal of the training was to teach us, as “climate reality leaders,” to go forth and spread the news that, not only is climate change real and immediate, but that it is solvable. While we are already experiencing the effects of climate change, we do have the tools and technology to prevent catastrophic, irreversible damage to the biosphere. According to climate scientists, a large part of the solution is, quite simply, to stop burning coal. Doing so will drastically reduce the amount of carbon dioxide that is pumped into the air on a daily basis, thus drastically slowing climate change. And that’s already happening; no new coal-fired power plants were built in the U.S. in the last year, and even China is realizing that burning coal isn’t a good idea. At the same time, the amount of energy being produced from renewable sources, including solar, wind, and hydro, is increasing faster than anyone predicted. So yes, there is every reason to hope that we can stem the tide of climate change. At the training, we were often asked why we were there, what makes us want to become climate change activists. After all, most of the people at the training – retirees, teachers, lawyers, doctors, students, and sales clerks, among many others -- do not work in any kind of green industry. For me, it’s all about the future; I want my son, and his children, and their children, etc., to enjoy a life filled with all the possibilities this world has to offer. So I will now go forth and spread the word about climate change by giving Mr. Gore’s presentation and calling people to action. In short, I’ll do what I can to ensure that future generations have a healthy planet to call home. Welcome to Leonardo Academy's GreenBuild 2014 virtual booth! With the world's largest expo hall devoted to green building, Greenbuild 2014 is the place to go to learn how green can grow your business. This year's expo hall in New Orleans showcases the latest in innovative green products and services. One of the services we helped write the book on is LEED for Existing Buildings. Let us help write the book for your building! We support the entire family of LEED rating systems, and more. Launched in 2002, Greenbuild is a great opportunity to build new relationships and connect with colleagues from throughout the industry and around the world. Join thousands of other people who agree that green building is a good idea and good for business. Healthy buildings = healthy people and planet! We can help you achieve your sustainability/LEED goals for your buildings whether it’s to overcome a few barriers, accelerate your program or to create a comprehensive program. (link this word to LEO SBS/LEED Flyer). As a nonprofit our goal is to help drive sustainability through the existing building stock. We have deep knowledge of LEED for Existing Buildings because we helped develop the rating system. I don’t know where to start or know if my building can even achieve LEED-EB. We can do a cost-effective LEED-EB assessment to identify key opportunities and lay the groundwork for a smooth transition into the LEED-EB implementation process. The capital expenditures would be too costly.Some LEED-EB credits require no capital expenditure, and the LEED-EB strategies can be evaluated with pay-back analysis. It will take too much staff time. Hiring a LEED-EB consultant streamlines the entire LEED process. Sustainability, let’s get it done—together!